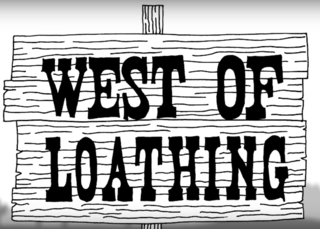 West of Loathing is a black &amp; white, stick figure, slapstick Western from Asymmetric. "So freaking awesome! For people who loved the rpg maker age, makes me wonder lots. It's awesome, Funny, fast and not so hard. It's pretty short, too."